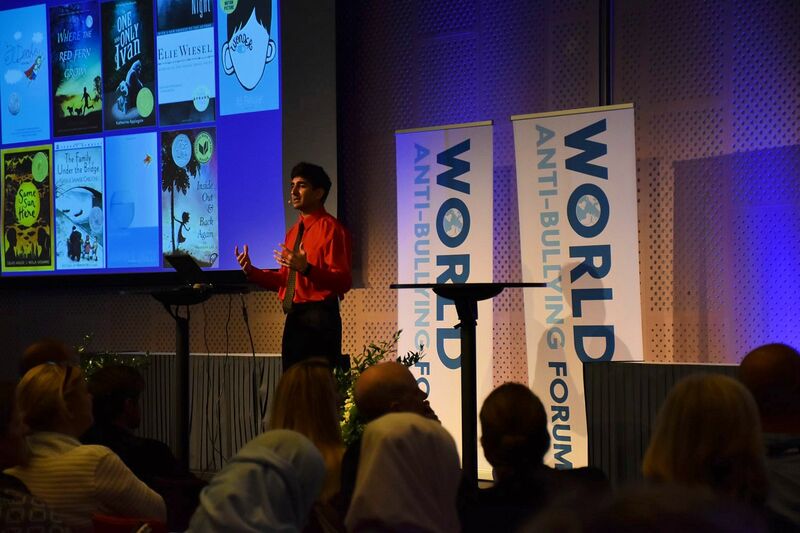 The inaugural World Anti-Bullying Forum was held in Sweden this week (where the cherry blossoms were blooming! ), and I had the honor of representing the Cyberbullying Research Center and the International Bullying Prevention Association (IBPA) in attending. I am doing some work at Dublin City University for the first half of this summer, and so my colleagues and office-mates here (Dr. James O’Norman-Higgins, Dr. Mairéad Foody, and doctoral student Helena Murphy – all representing the Anti-Bullying Centre, and doing outstanding work) and I just hopped on a short flight from Dublin over the Irish Sea to get to Stockholm. 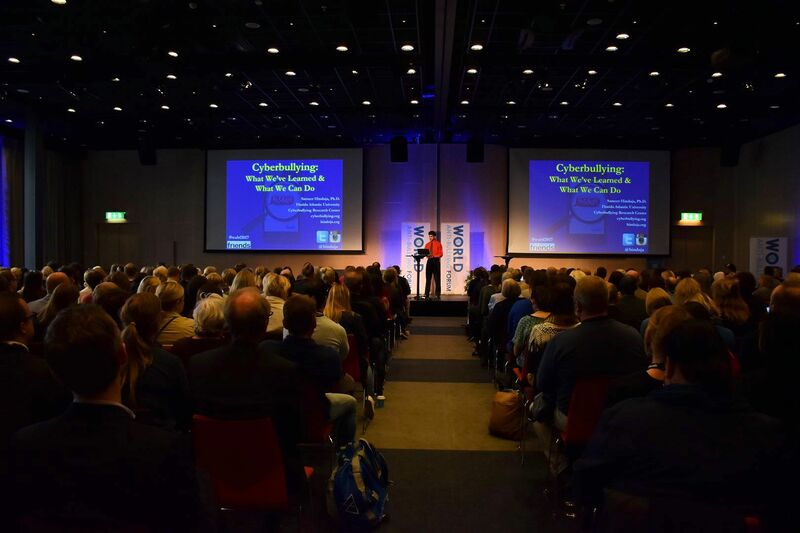 Hosted by the Friends organization (under the directorship of Jacob Flärdh-Aspegren), the conference brought together the absolute best and brightest bullying scholars and practitioners in the world. We got there on Saturday, May 6th and left on Wednesday, May 10th, and the days just flew by. Topics covered by speakers ranged the gamut from homophobic bullying, to cross-cultural comparisons, to ethnographic and scenario-based studies, to actionable strategies to promote empathy, to research driven by psychological and sociological theories, to multi-level and multi-method projects involving thousands and thousands of youth. I was completely exhausted every night simply because I just didn’t want to miss out on anything! There were introductory chats to be had, collaborative connections to be made, professional advice to dispense and receive, and so much intellectual stimulation in every conference room. My colleagues shared the same sentiment – and were similarly knackered (as we like to say in Ireland). To note, my use of Irish slang has earned me the nickname Seamus O’Hinduja. That’s pronounced Shay-mus Oh-hin-DOO-jah, in case you were wondering! But it was worth it. These are my people. This is my crowd. I support their work and would do anything to help them, and I believe (hope!) they would say the same. I know Justin – who is back in the States grading papers during Finals week – would completely agree. 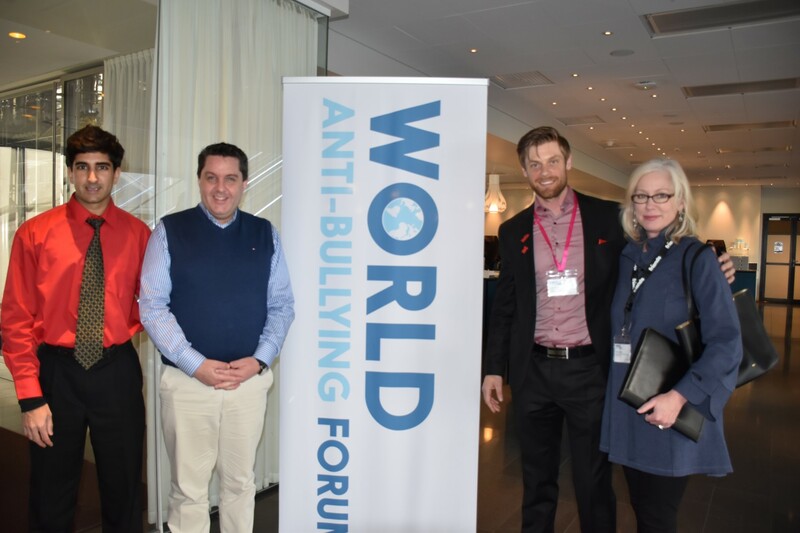 To put a proverbial bow on my trip to Stockholm, I thought I would share my three favorite things about this year’s World Anti-Bullying Forum, in no particular order. I hope this gives you a good idea of my conference experience, one perhaps shared by many other attendees…. 2) The warmth and kindness. Everyone was so complimentary of everybody else throughout the conference, and extended grace and patience towards each other even when professional opinions were at odds. I was honored to give the closing keynote – entitled “Cyberbullying: What We are Learning, and What We Can Do” – where I talked about our research as well as prevention strategies in the form of resilience, empathy-building, school climate initiatives, and youth-led initiatives. Everyone said it went amazingly, even though we had technical difficulties where the display connection randomly shut off mid-presentation, the Internet went down (disallowing me to do flash polling with the audience), and my attempt to show a video were ruined by no sound being projected. I just told stories as I tried to make it work before eventually giving up and moving on, and people were so understanding about it. Probably because they’ve all been in that situation before, where there was nothing you can do but grin and bear it! I just really appreciated that. It sort of made me feel closer to all of them, and they seemingly felt closer to me. Vulnerability – not perfection – is what brings us together! In retrospect, I am honestly glad it happened because it provided a better glimpse of our collective hearts. 3) The hosts. Friends is an organization that I did not know before November of 2016, when I met Jacob and his colleague Carolina Engström (Acting Secretary General) at IBPA’s annual conference in New Orleans. Since then, I have had multiple encounters and conversations with both of them, and I’m just tremendously impressed with their motivation and vision in the areas of bullying prevention. They sincerely care about today’s youth, and simply want research to inform practice in ways that bring about meaningful change – and provide a better environment in which adolescents can live, learn, and thrive. I look forward to working with them more in the future. They poured themselves out over the last year to make sure the conference was a great experience, and I fully believe they succeeded. It’s a couple days later and everyone is still buzzing. I’m sure that will endure for a while as we stay in touch with each other. I hope to see many of my friends and colleagues – new and old – at IBPA’s annual conference in Nashville, Tennessee in November. It was so great to hang out in Stockholm, and it will be fantastic to reconnect again in person in six short months. Meanwhile, let’s stay in touch about our research and programs and aspirations for adolescent development, well-being, and bullying prevention!